Established formally in 2001, the Sustainable Minerals Institute has its foundation beginning in 1950.
a strong focus on research and particularly on postgraduate research. These characteristics lead to the establishment of the Julius Kruttschnitt Mineral Research Centre in 1970. The JKMRC grew over its first 15-20 years to become an internationally recognised mineral and mining research and postgraduate training Centre. As 2000 approached, the stage was set to expand minerals related research within The University of Queensland. A new wave of thinking swept through the international minerals industry in the late 1990’s and the focus of that thinking was the concept of Sustainable Development. In early 2000, over 20 international mining companies and other commercial and non-commercial sponsors, working through the World Business Council for Sustainable Development, commissioned the Mining, Minerals and Sustainable Development Project. The project aimed to examine the role of the minerals sector in contributing to Sustainable Development. Quite independently, a proposal was developed within The University of Queensland during 1999 and early 2000 for submission to the Queensland State Government. The focus of this proposal was to expand the existing minerals related research capacity within the University through new activities which would address the wider social and sustainability challenges facing the international industry. To a reasonable degree, the proposal anticipated some of the outcomes of the MMSD Project. 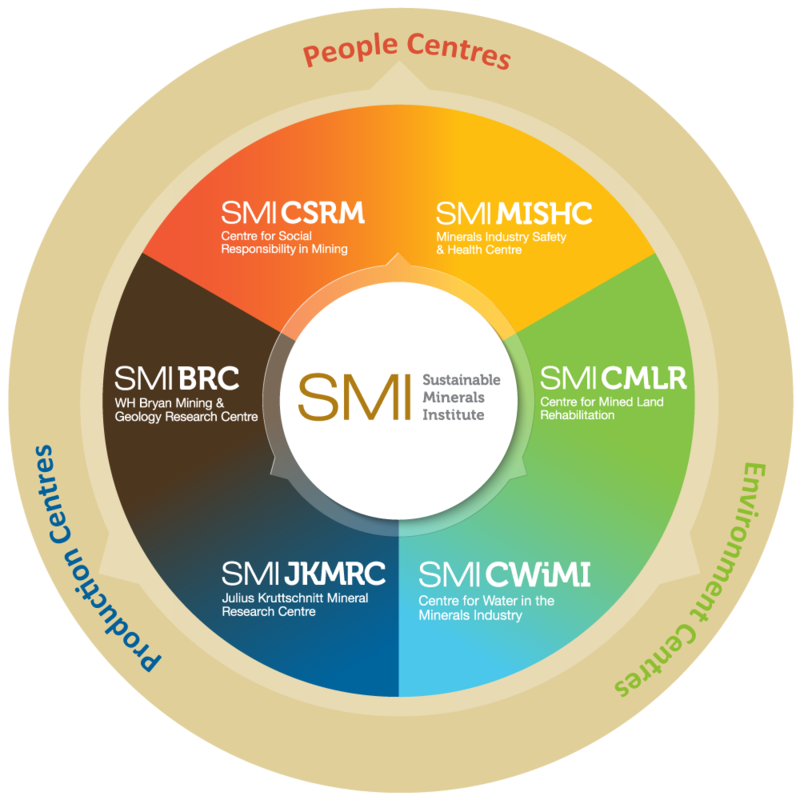 This was further expanded to include the Centre for Social Responsibility in Mining in 2001, the Centre for Water in the Minerals Industry in 2004. Today The Sustainable Minerals Institute is a world-leading research institute dedicated to finding knowledge-based solutions to the sustainability challenges of the global minerals industry.